Here I will share with you TIPS on..
Before you cringe, yes, I am talking about real stem cells. 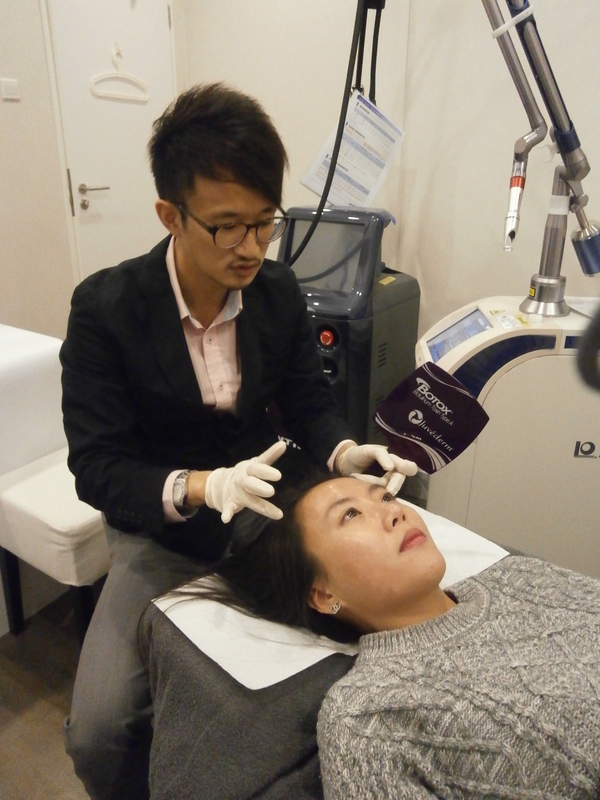 Korean skincare stem cells are derived from cord blood or adult bone marrow. We all know how stem cells have been purported to be the next wave in regenerative medicine, with a host of possiblities in terms of organ harvesting and growth. The benefits include cell healing, regeneration, anti wrinkle and scar lightening. Studies have been promising in this arena, so lets continue to watch this space. Syn-ake is a product that mimics the effects of a peptide called Waglerin1, found in the venom of the Viper Snake. Its mechanism is akin to botox, by temporarily blocking muscle type neuro-receptors, hence relaxing muscles. Syn-ake is the alternative to Botox, and studies have been done on its safety and efficacy.To date, there are no harmful side effects, and the efficacy is evident with nearly 50% reduction in wrinkle lines after a month of use. They have anti acne, scar lightening, scar healing, anti-inflammatory, wound healing, skin-regenerating, and anti-wrinkle benefits. The extract of snail mucin contains a wide blend of proteins, glycolic acids and elastin. This therapeutic mucin is the reason why snails can glide across rough surfaces without sustaining permanent cuts on their body! A truly remarkable feat! – Its the fine balance between a matt dry finish and a shiny, oily look. – Its the look you get when your skin is healthy, well hydrated and radiant. – The dewy look is in, and popularised by Korean stars. How do we achieve the Korean dewy look? First, we need to establish that there is a natural look vs a make-up look. A natural look involves a good skincare regime. Here is my simple, 3 step regime to dewy, glowing skin. – Regular exfoliation of dead skin cells with skincare to reveal brighter, younger skin. In my opinion, a good skincare for this purpose would involve Retin A. 2) Effective moisturizing with an oil free, non comedogenic product. Finally, a good quality BB cream would do the trick and hold it all together. 3) Antioxidants to reduce the damage from the sun, induce skin lightening and anti ageing. Common products in the market include Vitamin C, White Radiance and Crystal Tomato. What you can do at home is to stock up on Green tea, blueberries and cranberries. Perfect for a morning pick-me-up, teabreak or supper! Now whats the difference between BB and CC cream? In my humble opinion, it is really a marketing strategy. Both are combination creams which serve as a moisturiser, foundation and sunscreen. The key here is finding one that is suitable for you skin. So always try before you buy. Now, because we all possess UNIQUE skin types, and different skin issues, the regime has to be individualised. Oily skin, combination skin – This requires treatment to control the oil first. Otherwise, chances are, you will still see a shiny sheen on your skin. Pesky pores – This requires treatment to address the textural issues first. 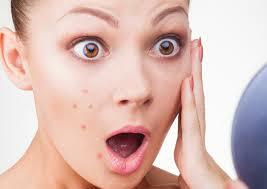 Pimples – This would require assessment and customised treatment. Pigmentation – This would require individualised treatment to target the specific pigmentary woe. For common woes, please refer to my post on pigmentary woes. To currently identify your skin woes and address them, please see your Dermatologist for a consult. With the right treatment, you are one step closer to the dewy skin look. Moving on, here is an example of a dewy look through the use of makeup. Opinion is divided on how to achieve this look. Some would say to apply an oil control serum on the t zone first, others would say mix the oil control serum with your BB cream and then apply the mixture, with your fingers, with light dabs. Even some have suggested using fine brushes when applying. Personally, I like to keep things simple. So here’s what I would suggest. Blusher to highlight and accentuate apple cheeks. So I hope this short segment on dewy skin has been both educational and helpful. – Be inspired. Be Bold and Beautiful. So you just got back from a vacation. You were thoroughly enjoying yourself, what with the beautiful food, shopping and leisure. But wait, you are standing in front of the mirror, and you notice… pimples! Now where did these pimples come from? And why in the world are they starring back at you? So why do you get zits after a vacation? Is it the weather in the new country? Let us look into this today. First, lets start from the beginning. Notice how you can parched lips and mouth on a long haul flight. And you end up downing more water than you usually do. You hardly use the washroom. Why is this so? The air in the cabin is DRY. And that dryness affects your body. Your skin, being the largest organ on your body, is affected the most. 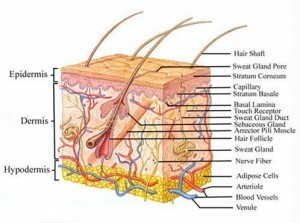 When your skin is dry, the dead skin cells stick together in clumps, and oil glands are activated. Hence when you land in your vacation area, you may notice flaking and clogged pores surfacing. During air travel, I believe it is the dryness in the cabin air that causes more sebum formation, and clumping of dead skin cells. And these clogs your pores. So how can you get on top of things? In your holiday destination, if it is a cold winter climate, you will need a thicker , richer moisturiser. Healthy, well hydrated skin ensures you stay your absolute best. And if all else fails, and you still see pimples popping, fear not. Here is my 3 step holiday acne busting regime. Cleanse gently, minimal touch technique. Dab dry only. Do not rub. Speak to your dermatologist for further information. SO… Keep calm, and truly enjoy your vacation! Sensitive skin. You, me, everybody. We all had days where our skin stings. We all had days where our skin burns. We all had days where our skin itches. Its boxing day. And happy you are faced with an avalanche of presents. And lo and behold, many of which are skincare products. So the question is, how do you choose a skincare to use? Do you choose everything, or do you choose nothing? The skincare you select for your skin will determine how sensitive your skin becomes. What is sensitive skin? How do I know if I have sensitive skin? Basically, I will like to group it into subjective and objective measures. Subjective: Let me share with you the SBI principle, which is stinging, burning and itching, which is a subjective sensation unique to yourself. Objective: Easy flushing and blushing, skin reactions like bumps and lumps, these are objective measures of sensitive skin. If you find that you experience these sensations commonly, then it’s time to see a dermatologist. Common triggers are the following. Why do I get sensitive skin? There are 2 main reasons for this. Let me explain. Loss of skin barrier – Which causes your skin to lose its hydration. Hence, your skin becomes drier, which is more susceptible to the elements. Exposed and high nerve ending density – Hence you can experience sensations of stinging, burning and itching. Who is prone to sensitive skin? Is sensitive skin for life? Younger patients tend to have a more skin reaction. This is because of the higher nerve ending density. What are common factors triggering sensitive skin? Enviromental – Weather changes. So if you travelled to a cold and dry place, same Korea, Japan, Shanghai, then return to Singapore, the change in climate can trigger stinging, burning and itch. Lifestyle – Spicy food, alcohol. An interesting study done in Sichuan province, China has documented that more than 50% of the local population to have sensitive skin. A correlation was found between spicy food and sensitive skin. Use of multi types of cosmetic products – The more facial products you use, the higher the risk of irritation. So more is not always good. How can I treat sensitive skin? First, we must understand the role of the skin. Next we need to know what our skin is made of. Here is a simple analogy. Just imagine a brick wall. The bricks are your keratinocytes, and the mortar and cement, the lipids and peptides. As the layers of bricks increase, the wall is stronger, similarly, when your skin thickens, it gets stronger. Gold standard for skin renewal and antiageing is the retinoid. Your lipid and peptides lock in the moisture in your skin, keeping it supple and plump. Occlusives – These serve as a layer on top of your skin to lock in the moisture in your skin. Examples include mineral oils. Hunmectants – These are like sponges that absorb the moisture, examples being glycerol and urea. How to tell if a skincare product is suitable for my skin? You may apply it behind your ear overnight. Do this for 5 days in a roll. If no irritation occurs, the product is generally safe on your skin. Remember, always start low and go slow. So be bold and beautiful. Making Raffles Place more beautiful, one face at a time. Sun, stress and injury have caused many a photoaged skin. Hence, I would like to share with you some skincare pearls, to ensure you be the light of the party this Xmas. Be bold and beautiful! Essentially, skincare can be divided into S.E.A. 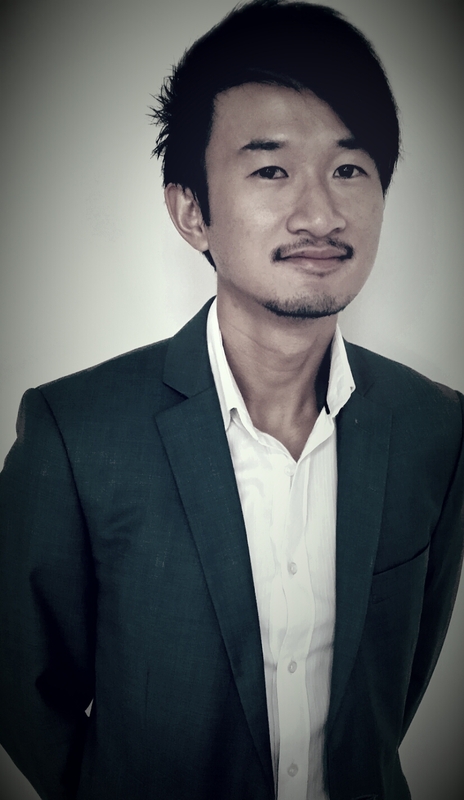 For a more indepth discussion, please watch my youtube channel, drdanielchang. Sunprotection – which can be further divided into T.C.S. Antioxidant – So drink your green tea! Anti Ageing – Of which retinoids and whitening agents play a role. Today I will share with you about retinoids, the quinessential antiageing formulation. Here is a diagram of ageing through the years, which is a dynamic, continuous process. So let me start with the anti ageing ingredient, Retinoid. 1) What are the indications? 2) How do you use them? – Herein lies the key. Retinoids can be irritating to the skin, so the principle is start slow, start low, and work your way up. 3) How long do I wait for effects to occur? – Generally give it 12 weeks. 4) When am I considered unsuitable for retinoids? – If you find that using the lowest concentration and starting at once every 3 days causes you to have prolonged stinging, redness and peeling for days, then you need to consult your dermatologist about the usage. 5) How can I soften the reaction to retinoids? – A good practice is to apply it 20min after a wash, to allow your skin to recover. – Using of mositurizer either before or after the retinoid helps to reduce the irritation. – Short contact treatment is another modality, but applies to a particular type. 6) What can I expect? I generally divide it into subjective and objective. Subjective is what you can feel, and namely, itch, warmth, stinging, burning. Generally, you will feel before you see, so I always tell my patients to control it before it manifests. 7) What are the benefits? – Normalises skin renewal, and reduces oil production. Have a bold and beautiful week! Hi dr Daniel I will like to meet up for consultation on sq jaw reduction. Where can I find you and get in touch with you. Thank you.